December | 2013 | Why Be Tonto? Are You Getting 15 Hours of Sleep? Could you match his hard work? That’s the way to success. That’s how to put the competition behind you and engage audiences. It did just that for English chef, Heston Blumenthal, owner of The Fat Duck in Bray, Berkshire. Without the usual experience in top restaurants and with little cash, the self-taught chef built a Michelin three-star restaurant from scratch. The Fat Duck was voted Best Restaurant in the UK and has rated 10/10 each year since 2007. All on 15 hours of sleep a week — a seven-day average of two hours or so a night. 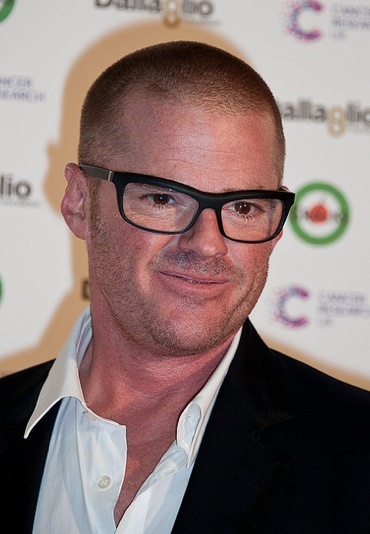 In short, Heston Blumenthal sacrifices sleep for work. Maybe some of those ‘never-quite-happy’ marketers should put bedtime on hold when it comes to online messaging. Have you noticed? Too many emails, videos and Websites come off as little more than an annoyance. They’re packed with enough impact and memorability to bring them up to the inept level. So, why aren’t more marketers focused on strong ideas that can separate their brand from the next? What’s happened to the thought of interactivity and making content more helpful and less intrusive? Why don’t more brands concern themselves with a user’s experience? While your competitors may be content to let a boardroom point of view dictate their messaging, it opens the way for you to be more customer-oriented. With that, focus on the way your customers and prospects think; hone in on their problems, needs and desires. Go from a laundry list of your product features to a more considered list of benefits for your target audience. Make your messaging about the people who buy what you sell. 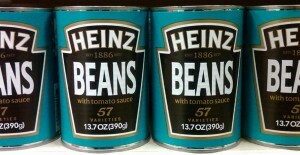 As Heston Blumenthal might say, with that sort of approach you’re bound to catch your competitors napping. Marketers, Take a Shortcut to Branding Success. Yes, there are shortcuts to success. The easy route is out there if you know where to look. Take gardening, for starters. There are those who wait until the circus comes to town to buy elephant dung. They secretly dig it into their rosebush beds to make the colors ecstatic and their neighbors jealous. Who ever thought rose fanciers could be so scheming? Racehorse trainers have been known to keep a sheep in a horsebox to calm a high-strung thoroughbred. Why? An unruffled horse runs better. Haitian voodoo practitioners have a sure-thing hangover cure. Stick 13 black-headed pins into the cork of the offending bottle to relieve your aching head. There’s a shortcut to marketing success, too. It’s less exotic than 13 black-headed pins, but it addresses those ‘how can we do better’ questions that often monopolize management reviews. Simply, focus on the tag line of your ads. Review the message under your logo and use it as a kind of blood pressure cuff to test the health of your positioning. So, is your tag line just okay or is it electrifying? Does it have surprise value or is it incurious? Does it separate your product from the rest? Is it full of promise? The idea of ‘promise’ is key. It’s summed up by the 18th century wit and writer, Dr. Johnson, who defined a good advertisement as a ‘communication full of promise’. The Doctor was commenting on a handbill announcing the auction of a brewery. More than copper kettles, he explained, what was for sale was the promise of wealth from becoming a brewer. We echo this thinking with the expression ‘sell the sizzle, not the steak’. With sizzle in mind, evaluate what others are offering. As you look at tag lines you won’t be the first to conclude that many are the marketing equivalent of dog paddle. Certainly, few prompt you to stop and think. So, why put up with inert work and a copywriter who is a dime-store Bill Bernbach? A writer who fumbles your strategic positioning and is dull to boot. Take a few simple steps to avoid undernourished thinking. Your tag line should be more than strategy warmed-over — it should embody emotion. It should alert consumers to the fact that you are different/more appealing/smarter/more human. In an era of so many me-too products, ‘more human’ becomes your difference. A case in point is Seagram’s 100 Pipers Scotch. It’s a brand that screams ‘commodity’. It’s cheap stuff. Yet the right line can rectify that – one that recognizes that having a drink is about relaxing and seeing the humorous side of things. So when you say, ‘100 Pipers Scotch … Makes Bagpipes Sound Like Music’, the brand begins to radiate the sort of wit that separates it from the rest. Suddenly for the Seagram company the proverbial glass is half-full rather than half you-know-what. One advertising writer, Martin Puris, took tag lines to new heights. He injects ‘promise’ into them. He coined ‘The Ultimate Driving Machine’ for a car company you might have heard of. He also wrote ‘The Antidote for Civilization’ for Club Med. Cruise lines spend lavishly to persuade us that you can see more and be more carefree on a ship. CTC of London does this better than most with ‘Relax. We’ll Change the Scenery’. For a discount operation this begins to characterize a level of luxury. More importantly, it allows CTC to protect their margins by selling something other than rock-bottom-priced fares. 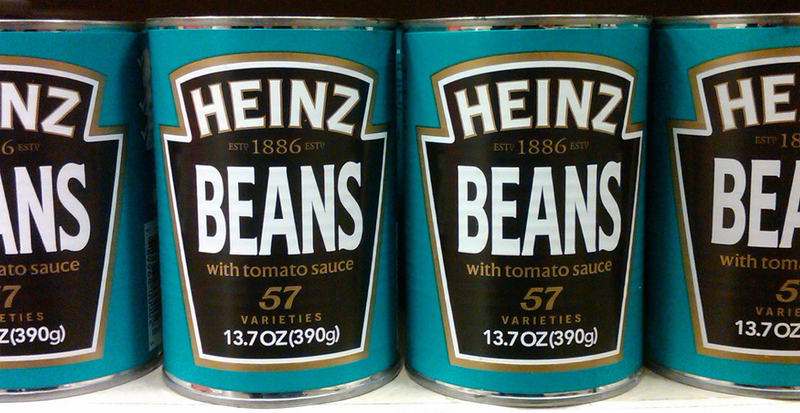 In our office the nod for the best tag line used to belong to a can of beans — Beanz Meanz Heinz. But now the vote goes to a knitting wool company — Cleckheaton. Think a minute. What can you do with the knit-one, purl-two? How do you give it impact and memorability? Well, the onomatopoetic power of the tag line, ‘Click Clack Cleckheaton’, is transforming. Authority is stamped on the brand as the sound of knitting needles and the Cleckheaton name are artfully combined. It’s a great way to begin to own the market — click clack clap clap. Use these lines as a high bar; strive to match their power and individuality. Spur your agency to think harder on your behalf. If your positioning and your tag line aren’t wonderful, stick 13 black-headed pins into them and start again. Marketers Can Often Sound Dopey. Here’s Why. Why do we have dopey jargon like this? Are simple words dead? More and more marketing talk sounds like English but is often less understandable than Urdu. What does all this business hokum mean? And who actually cares? Could it be those determined to leave you by the wayside by impressing you with how clever they are? After all, jargon puts the brakes on progress like some of those inner-city parking garages that kill your confidence with ramps that are perilously twisty and narrow. Someone who was clever when it came to leadership commented, ‘Use simple words everyone knows, then everyone will understand.’ That was Winston Churchill. More to that, the story of unbroken success is often written with fifth grade writing. The Doyle Dane Bernbach Volkswagen work is proof of that. As to marketers and clear thinking, few are as plainspoken as the Harvard MBA who achieved more than most of us ever will. Sergio Zyman, the former CMO of Coca-Cola. In five years, when no one thought Coke could sell any more, he and his team increased sales by 50%. And the stock price quadrupled. There’s success for you. Success based on uncomplicating marketing problems to drive profitability. 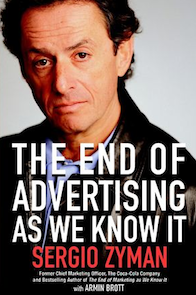 Sergio Zyman’s 2002 book, The End of Advertising As We Know It is still valuable for its look at right and wrong ways to pursue marketing. It’s packed with straightforward, pragmatic, commonsense thinking. Two hundred and thirty-four pages of relevant observation. With no expressions like ‘create Chinese walls’, ‘thought shower’, ‘administrivia’ or ‘pig in a python’ to describe a slow moving product. Want Great Content? Take a Lesson from Sir Ernest Shackleton. The business world is on its knees again. Figuratively, that is, with an awe and reverence best described as Shackleton-mania. As you may know, Sir Ernest Shackleton is the new management messiah in polar explorer’s goggles and snowshoes. He’s the dog-eating survivor and hero of an Antarctic shipwreck in temperatures that turn your breath to ice. According to the corporate world, Sir Ernest, leader of the 1914 Imperial Trans-Antarctic Expedition, is the ultimate leader. Certainly few rate higher for people skills and determination. The savior of 28 men, Shackleton shepherded his expedition through 22 months of hardship. The sort of hardship that kills with bone-breaking cold, ferocious gales, dysentery, starvation, exhaustion and the collapse of any hope of rescue. For avoiding mutiny and keeping his men together and for nurturing them as individuals and keeping spirits high, Shackleton is the darling of business leadership courses. Survival stories rarely come better. Shackleton’s ship, Endurance, was caught in pack ice 1200 miles from civilization and crushed to splinters in the freeze. The crew was left exposed on ice floes for 10 months. They never reached the South Pole. But it’s not conquest that makes this story a template for leadership training; it’s team management that ensured survival. If you didn’t see the Kenneth Branagh docudrama, the IMAX show, the NOVA film or the George Butler 92-minute documentary, ‘The Endurance: Shackleton’s Legendary Antarctic Expedition’, just wait, there’s a chance they’ll feature largely in your next executive training course. Equally, there’s the book, Shackleton’s Way, which made the New York Times best-seller list. The latest ‘Shack’ for our veneration isn’t a basketball star but a team leader who crossed 1000 miles of the cruelest seas in a lifeboat to raise a rescue party for his men. This little jaunt, with eyeball freezing temperatures and 100-foot killer waves, makes The Perfect Storm seem like afternoon on Golden Pond. Shackleton reached a whaling station on the Island of South Georgia and found help. Miraculously, every man was saved. The famed corporate fix-it guru, ‘Chainsaw’ Al Dunlap, known for dumping staff to recover profitability may want to take note. If you’re a football fan you’ve seen something of Shackleton. Patriot’s coach, Bill Belichick, is a devotee — he motivated his team to Super Bowl success with the story of the ice-bound expedition. In the current season maybe he should have done it again. Shackleton’s perspicacity and dizzyingly high levels of optimism also serve as inspiration for executives in companies like Boeing, IBM and Morgan Stanley. All this is great stuff. But perhaps the most applicable Shackleton lesson comes with his content ability. The 1914 classified advertisement that pulled the expedition together is a deft bit of persuasion. long months of complete darkness, constant danger. Safe return doubtful. Honour and recognition in case of success’. A fool’s errand made brilliantly attractive. But then Shackleton was looking for something often confused with a fool’s behavior … human endurance of heroic proportions. Unlike some content today, this wasn’t over-thought or focused-grouped to death. It’s the opposite of the thin, under-imagined messaging that makes too much content predictable and inert. Perhaps the most telling thing about Shackleton’s classified ad is that he thought like his target audience. So the message and tone are just right for those looking for limitless spirit. You have a full story in just 26 words … a very expansive experience. Shackleton … what a leader … able to manage men, sled dogs and content. If you’re searching for a change agent, remember that leadership courses aren’t the only way to get your products off the ice. Strong content also does it. So, how’s your judgment in this area? What’s ‘terrific content’ for you? For us, it’s the Honda “Hands” commercial and yet another one from Honda … the Ayrton Senna film. They begin to reach the Shackleton level. It seems the best campaigns and content have been to charm school. They have the knack of telling a story with a smile. So, you might want to ask yourself, how does the content for your brand measure up? Not to discourage those on the Shackleton studies bandwagon, but reading about great men is one thing. In the end, you have to reach out for something more tangible and more results-oriented. Like the 26 words that brought Shackleton response. Literally mailbags full of it. 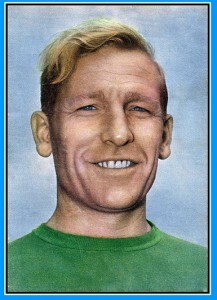 Bert Trautmann in his playing days. You could hardly find a more dedicated Nazi. Bert Trautmann was a Hitler Youth prodigy, a Luftwaffe paratrooper, a holder of the Iron Cross and an anti-Semite. In his mind Jews, Poles and gypsies were sub-human; Aryans were the master race. But that’s not telling you anything new about the Nazi mindset. We’ve seen the WWII film clips. You know the story. Still, all that was to change. In the closing days of the war Trautmann was on the run with what was left of the German Army. He managed to escape the Russians as well as French Resistance patrols keen on revenge. But in his flight he vaulted over a hedgerow and fell into an ambush by a British unit. Instead of a burst of Bren Gun fire Bert Trautmann was met with an invitation from a British soldier. A cheeky greeting, right enough, it set the tone for his survival. Capture was the beginning of an extraordinary transformation that left Trautmann feeling more English than German. His turnaround began properly when he got to England as a prisoner of war. There he was forced to attend lectures on open-mindedness, benevolence and empathy. His days in camp were focused on finding an understanding and a sense of humanity. Over time, Hitler youth brainwashing began to be reversed. A kindness and goodwill took hold as captivity became less an incarceration than an education. It was an eye-opening experience that prompted a turnaround on the Jews, as well. In fact, it was a stunning reversal. Thanks to a film about Belsen shown to German POWs and a stint as a driver for Jewish officers in his camp, Trautmann was transformed and humanized. Trautmann played on POW teams in matches against amateur teams in the north of England. He was exceptional on the field. Especially in goal. That brought him to play for St. Helens and then on to top league team, Manchester City. With that came a decision to reject repatriation to Germany. England was home, his past was repudiated. The ex-Nazi and POW went on to become a legend at Manchester City, famously playing the last 18 minutes of the Cup Final against Birmingham City in 1956 with a broken neck. Gutsy stuff. A captured Nazi soldier had become one of Britain’s most well known and most loved footballers. More kudos was to come from Buckingham Palace. A former enemy was awarded an OBE in recognition of Anglo-German relations. In subsequent years Truautmann coached football in Burma, Tanzania and Pakistan. But what about turnarounds for you; turnarounds in business? How do you handle reversals, dark days, slow downs, profit warnings, trouble with your brand image? How do you cope with fierce competition, changing technology and an economy that still can be daunting? At times it seems impossible. But ideas can change all that. It’s thinking that comes from a gut sensibility that is strong on perception and charged with emotion. It’s the opposite of marketing-speak that washes over you and is instantly forgotten. Maybe it’s hard to face, but when your content is no better than everyone else’s, that’s the definition of mediocrity. We all know mediocrity won’t get you to the turnaround level. Bert Trautmann knew it, as well.